Representations before Civil Aviation Authority. Obtaining the necessary traffic rights. Making payments and/or issuing guarantees on behalf of the airlines. Preparing, transmitting and filing reports, statistics, documents. Special Passenger and VIP Services. Cargo Handling in a Third Party Facility. Freighter Ramp Services / Transportation. Coordination of aircraft servicing units. Preparation and distribution of flight documents. Load control & weight and balance calculations. Transmission and reception of all operational messages. 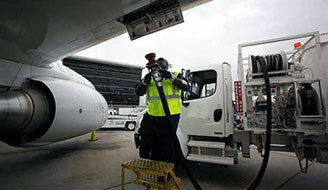 Communication and coordination between aircraft and ground services. 24/7 Operational Control Center . Preparation and distribution of flight plan to the cabin crew. Preparation of weather forecasts and navigation information and distribution to the cabin crew. Crew & Passengers Ground transport . Obtaining essential overflying & landing permits worldwide within a very short notice. 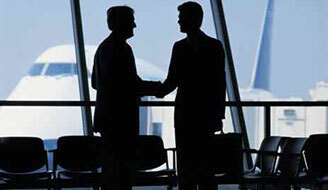 Settling all civil aviation charges on our clients' behalf. 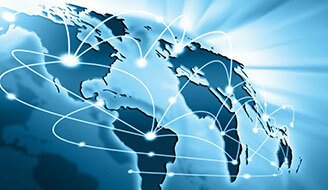 Arranging ground handling services worldwide through 3rd party associates. HOTAC arrangements in all cities worldwide. 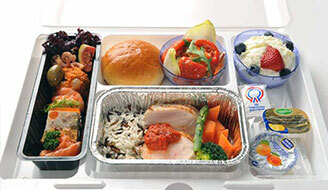 Our catering services will promote your airline's level of services quality and passenger satisfaction. From menu design through execution and delivery, we provide our passengers with an exceptional experience, ensuring that top industry standards are met and maintained. Whether you're arriving or departing, our dedicated team will meet you and guide you through the formalities as well as help with your baggage. Limousine and hotel accommodation can also be arranged upon request. A dedicated team within Top Aviation aims to make arrivals, stopovers and departures as convenient and smooth as possible for passengers and crew, providing customized services offered by professionals with exceptional skills in servicing and understanding the importance of the business aviation world. Carrier's representations before Civil Aviation Authority. Obtaining the necessary traffic rights and Negotiates airport slots. Aircraft line maintenance (and GSE maintenance). 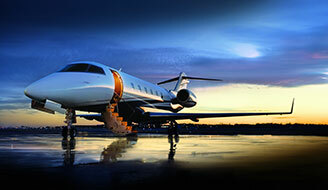 Executive aviation handling and VIP services. Flight operations and crew administration. Irregularity and emergency operations support. Lost and found facilities and systems. Passenger handling with check-in, gate, departure, arrival and transfer services. 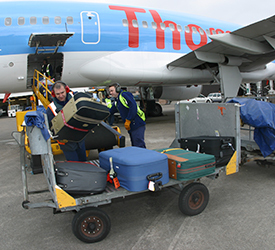 Ramp services including baggage handling/sorting, GPU, push-back and others. Surface transport of passengers and crews. Station control, supervision and administration including hotel accommodation and ticketing. Unit Load Device control and management. Copyright © 2019 Top Aviation. All rights reserved.